How Much Does Managing a Protest Cost the Church of Scientology? A Lot More Than You Think! Every year, Scientology throws a huge party for members of the International Association of Scientologists (IAS). 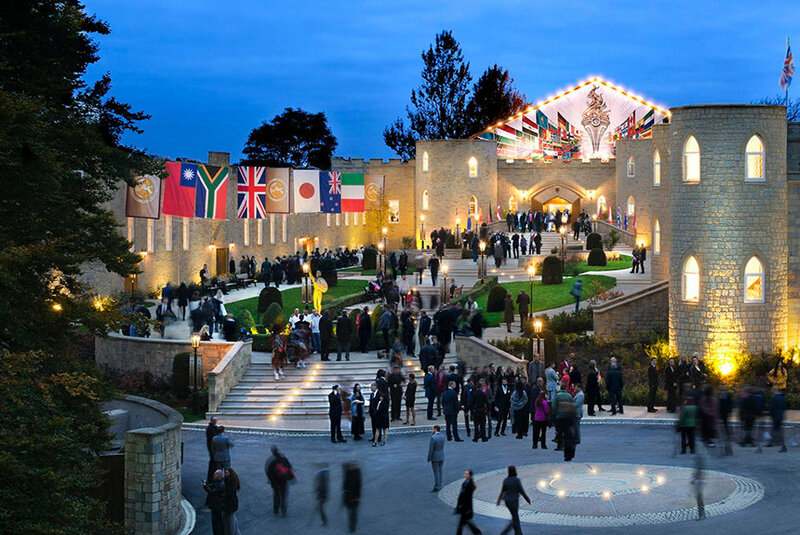 This takes place at the UK headquarters of Scientology, Saint Hill Manor, and up to five thousand members from all over the world turn up. L Ron Hubbard bought this estate in 1959. He seems to have enjoyed playing English country squire because he ran Scientology’s affairs from the site until he was refused re-entry into the country in 1967. The event is held every year, and its main purpose is to encourage donations to the IAS. As is the case with all Scientology fund-raising, this can involve a very hard sell indeed, and attendees are unlikely to leave without having given as much as they can afford. The IAS started life as a legal defence fund for the Church of Scientology, but critics characterise it as a huge slush fund under the exclusive control of the present leader, David Miscavige. Little is known about how this money is spent, of even whether is spent at all. This year, the event took place on the 6th, 7th and 8th of October, and I was there on the Friday with a small group of protesters. After the Anonymous campaign against Scientology changed the game by seriously damaging Scientology’s ability to suppress opposition, protests have tailed off. It’s now rare to see more than small groups of activists, and the public might think that they don’t achieve much even as they support the effort (passing drivers frequently honked, waved and shouted approval). In the case of protesters at the IAS event, however, this isn’t true. They cost Scientology at least tens of thousands of pounds just by being there. If that sounds incredible – it is. However, read on to understand why, and assess the figures for yourself. When L Ron Hubbard created Dianetics, it was presented as a rigorously scientific subject whose results were as reliable as mechanical engineering. For a time, Scientology was presented in the same way – then Hubbard came under official pressure for the pseudo-medical practices mandated by his creation, and his incredible claims to cure disease. In 1954 Hubbard decided to sidestep these difficulties (and avoid tax) by incorporating the Church of Scientology in California. Religious practice is protected in the US by the first amendment, which provides considerable protection for religious organisations (the legislature can “make no law respecting an establishment of religion, or prohibiting the free exercise thereof”). Also, religious organisations can apply for tax exemption. Scientology’s exploitation of this provision has proved controversial. The problem is that there is no legal way of defining what is, or is not, a religion and US politicians and judges tend to steer clear of the question for fear of offending powerful religious lobbies. While established religions may not approve of Scientology, they are also liable to see any attempt to deny it religious status as ‘the thin end of the wedge’, and support Scientology for fear of losing their own privileges at a future date. 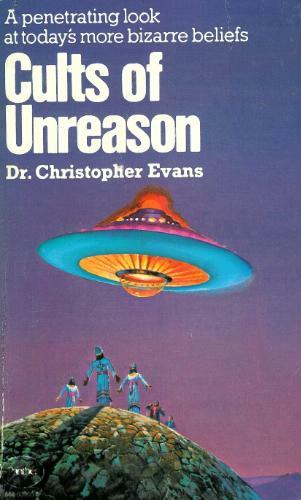 In 1967 (the year in which this booklet was published) the US tax authorities withdrew tax exemption from the Church of Scientology and it took until years for them to recover that status. This text was likely a propaganda exercise designed to present Scientology as a bona fide religion by trying to associate it with the most widespread religious tradition practised in the US – Christianity. 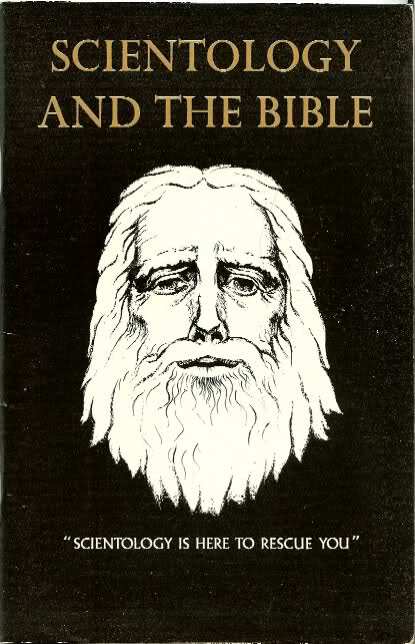 It prints extracts from Hubbard’s writings alongside extracts from the Bible, and attempts to argue that they are equivalent. This programme is based on interviews which present the stories of three British women’s involvement in two different high-control religious groups – The Church of Scientology, and the Jehovah’s witnesses. There are striking parallels in the oppressive practices of the two groups. It begins with an account of Sam Domingo’s 20 years in Scientology and moves on the experience of two other women with the Jehohvah’s Witnesses. Scientology was never big business in the UK. The last census showed just over 2,000 UK members. Scientology materials are reproduced and quoted in the book. In an apparent attempt to prevent publication of the book, the Church of Scientology sued for breach of copyright and breach of confidence. Their case was rejected. Vosper was probably also subjected to extra-legal action. Vosper subsequently became a deprogrammer, working to extract individuals from groups he considered to be cults. In November 1987, while a committee member of the British anti-cult group, FAIR, he was convicted in Munich on charges of false imprisonment and causing bodily harm to German Scientologist Barbara Schwarz in the course of a deprogramming attempt. He received a five month suspended sentence. Deprogramming (and the related ‘brainwashing’ theory of cult conversion) are discussed in a number of books listed on the “Brainwashing? Pros and Cons” page.